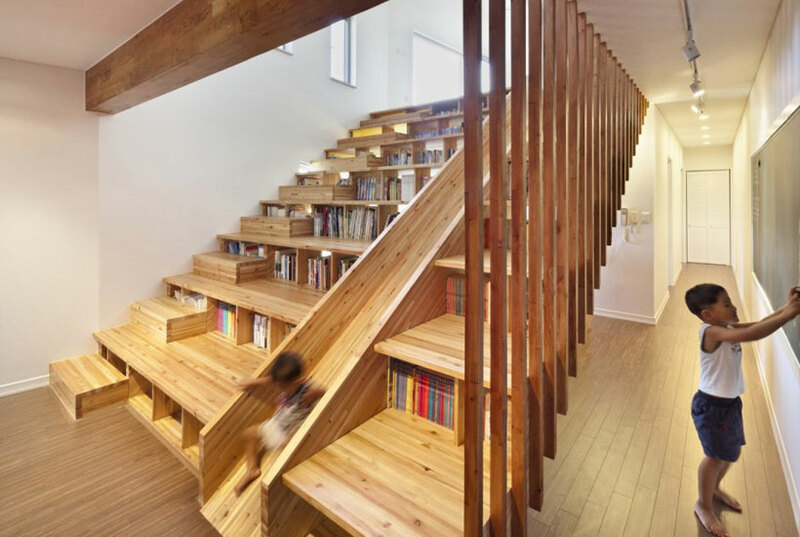 Imagine a house whose key component is an indoor slide for children. 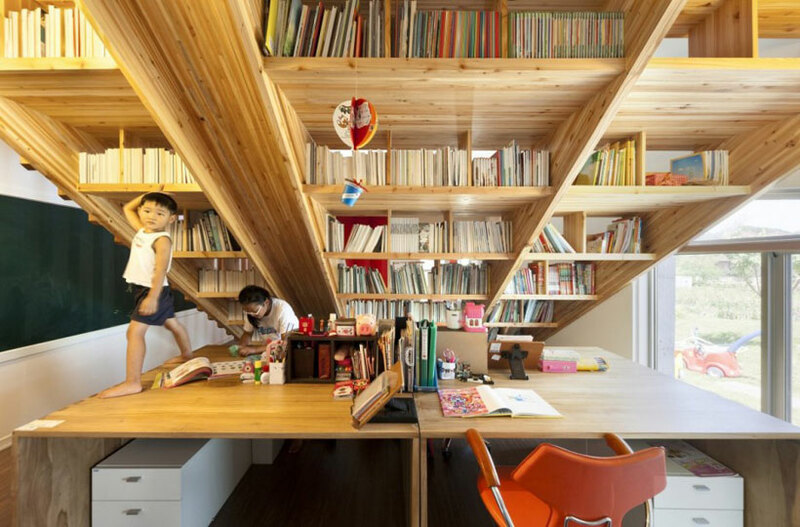 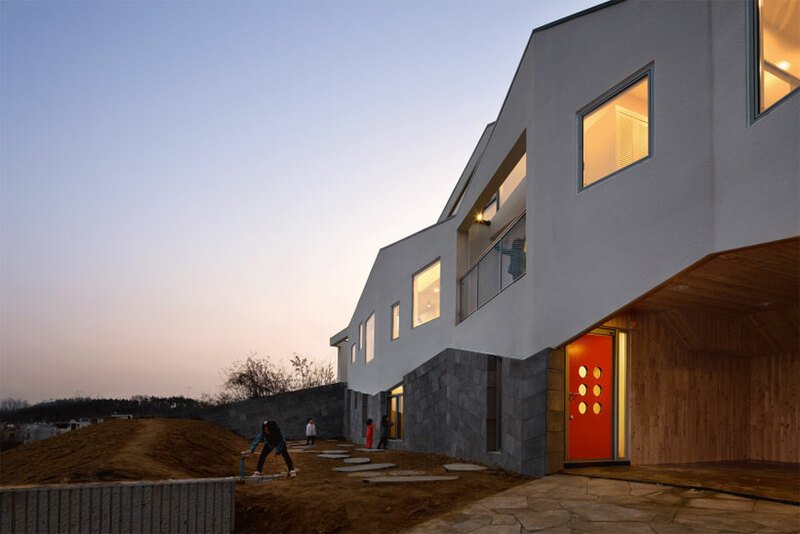 If you do not believe it, see what a Korean architect has made for a small family. 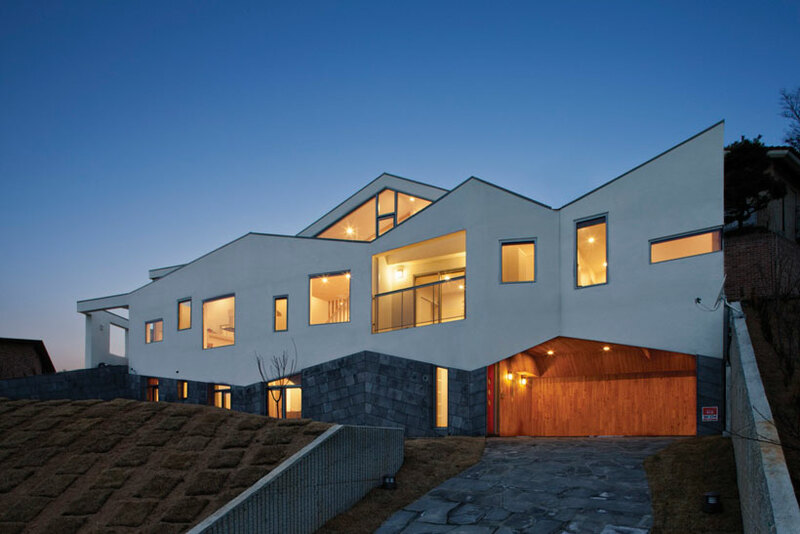 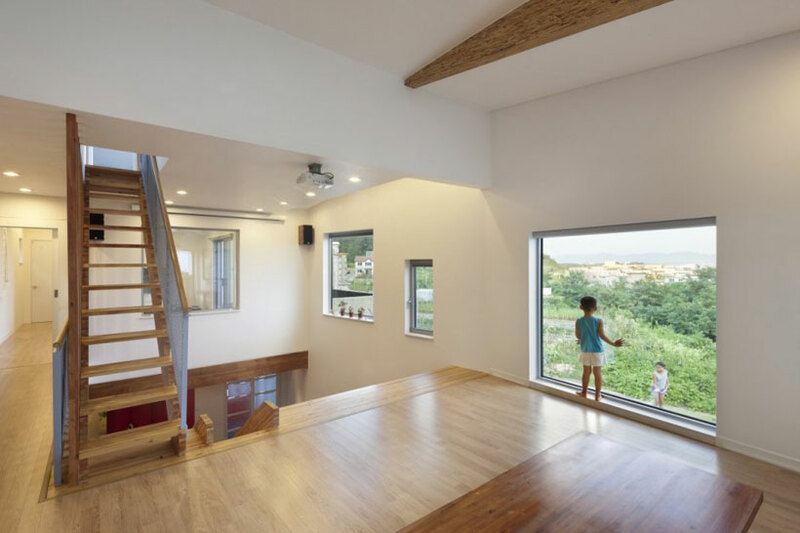 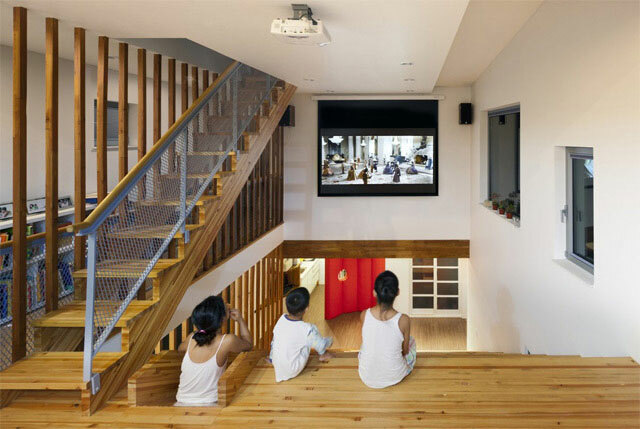 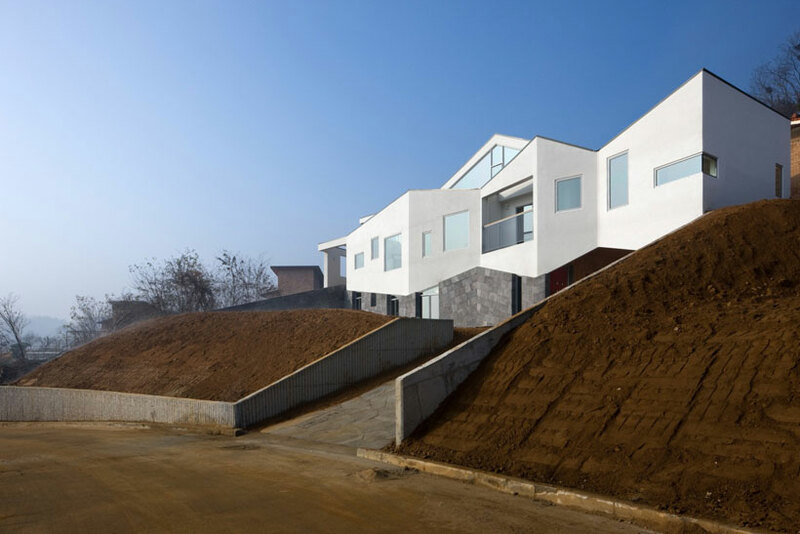 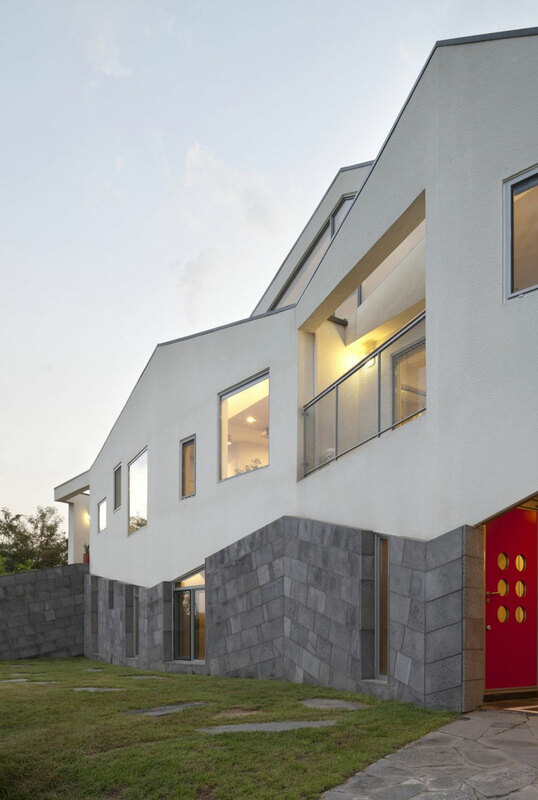 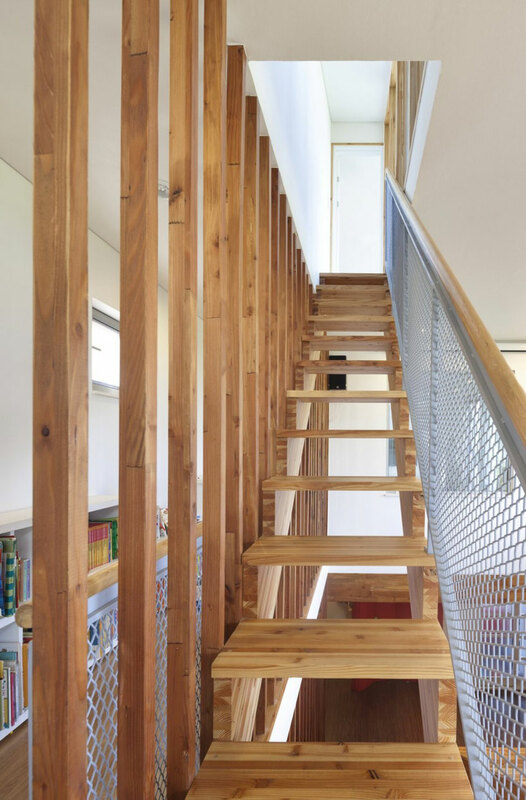 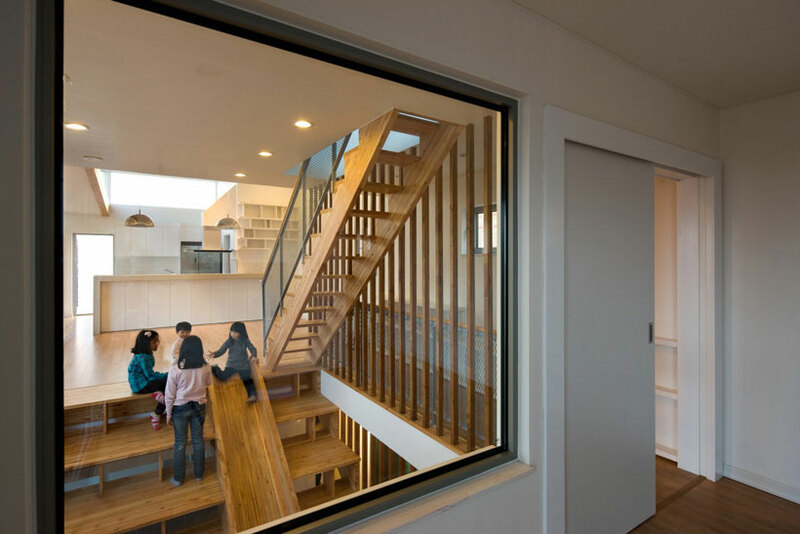 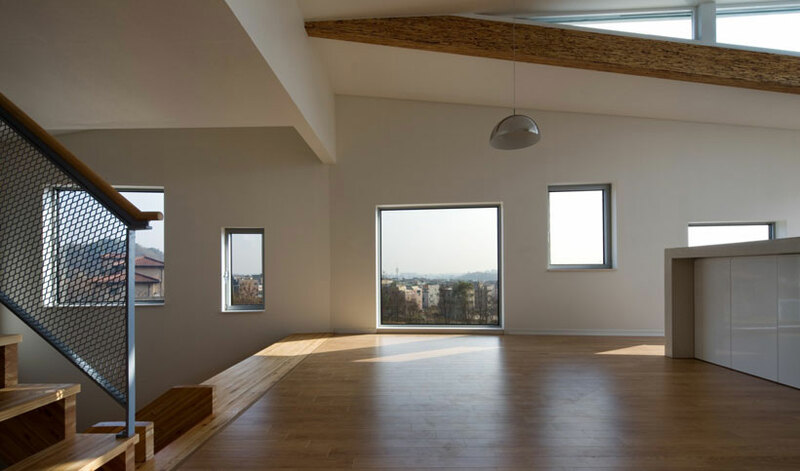 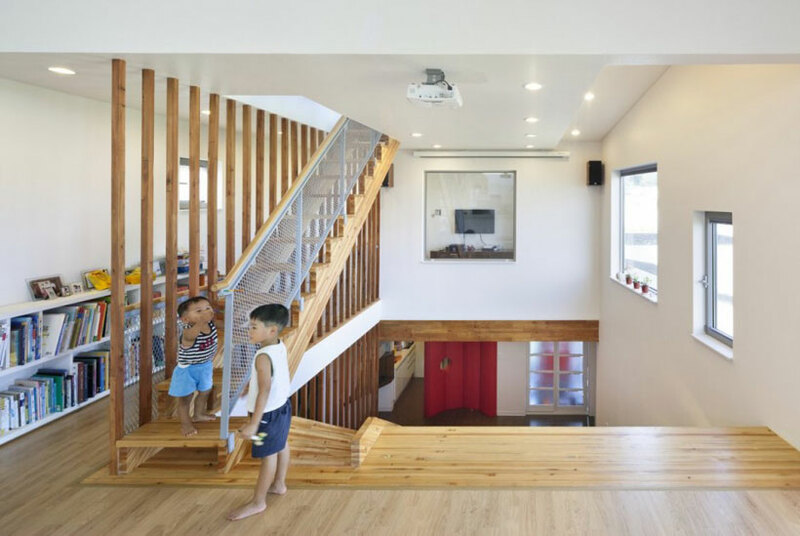 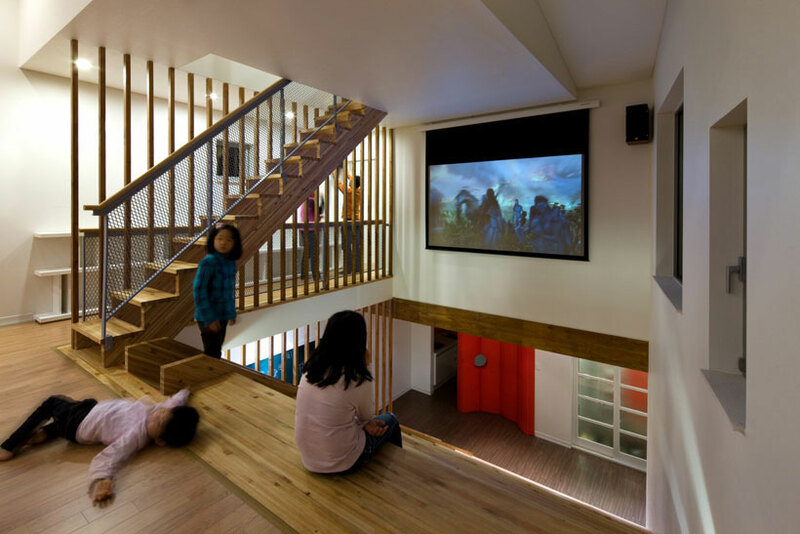 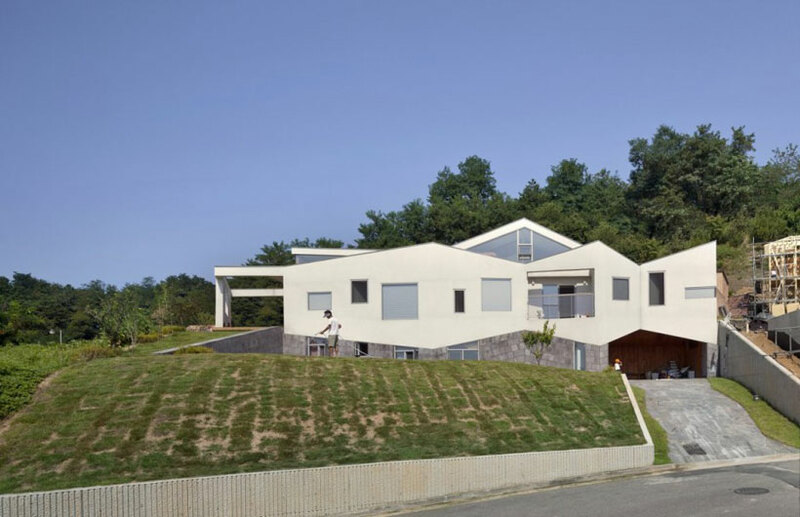 Panorama House is the name given to this family home located in Chungcheongbuk-do South Korea, a three-story house for a couple with their four children. 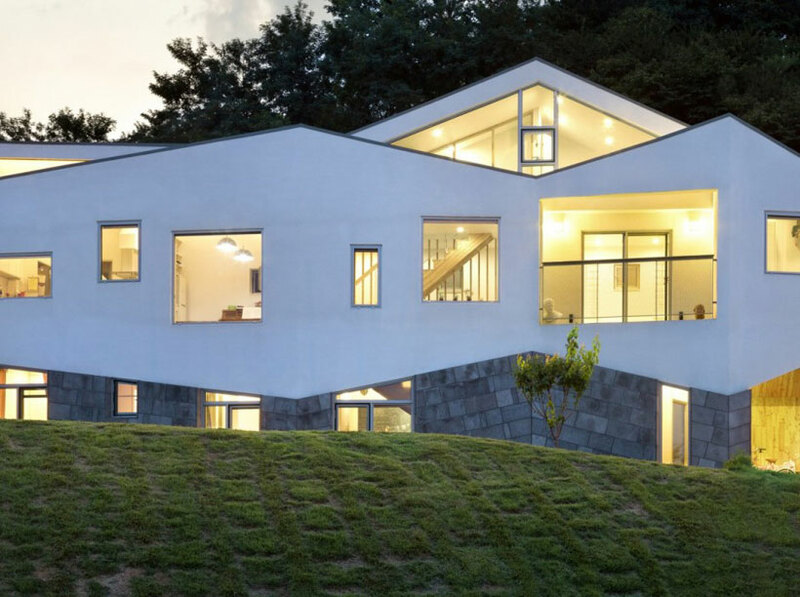 This marvel has been designed by the Korean architect Moon Hoon ! 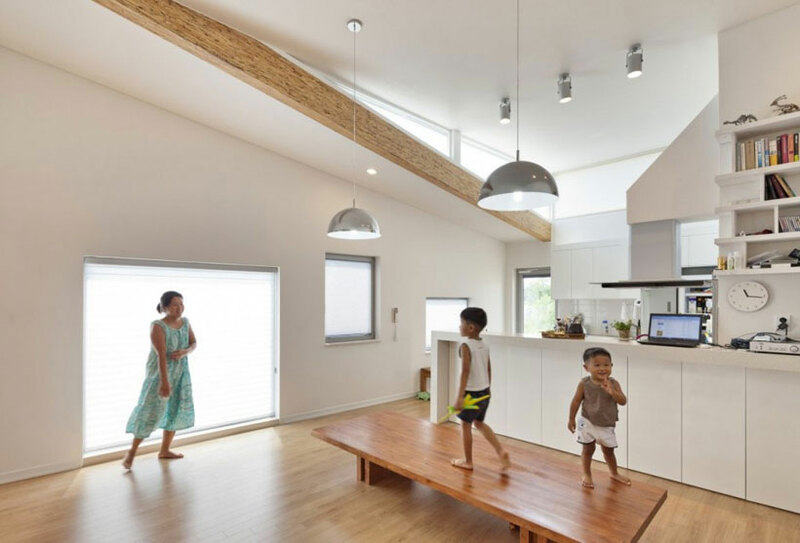 In fact, he had been requested by the couple to design a house where their four children could play and study in a fun and creative environment. 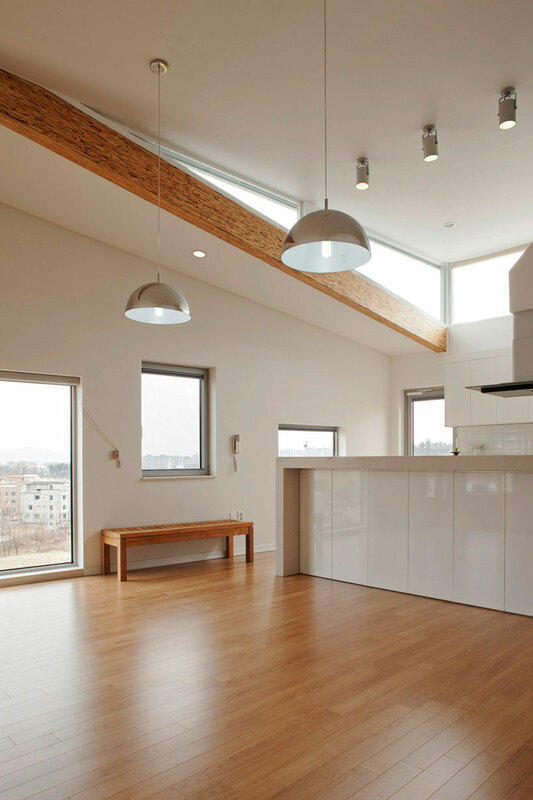 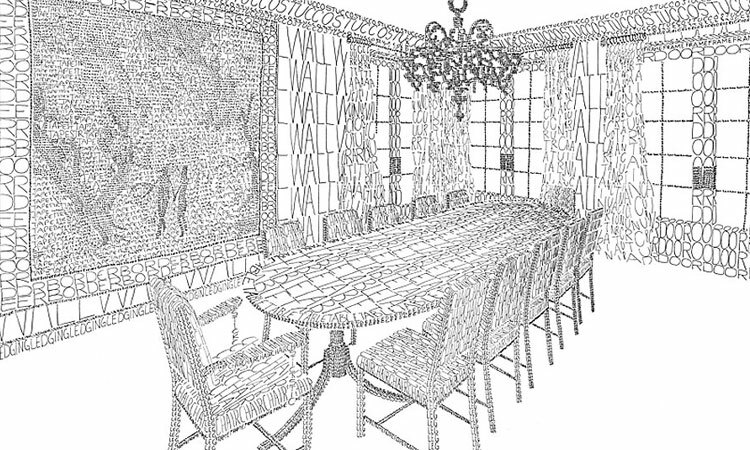 The key idea behind the design of the house is to have multipurpose portions in the house. 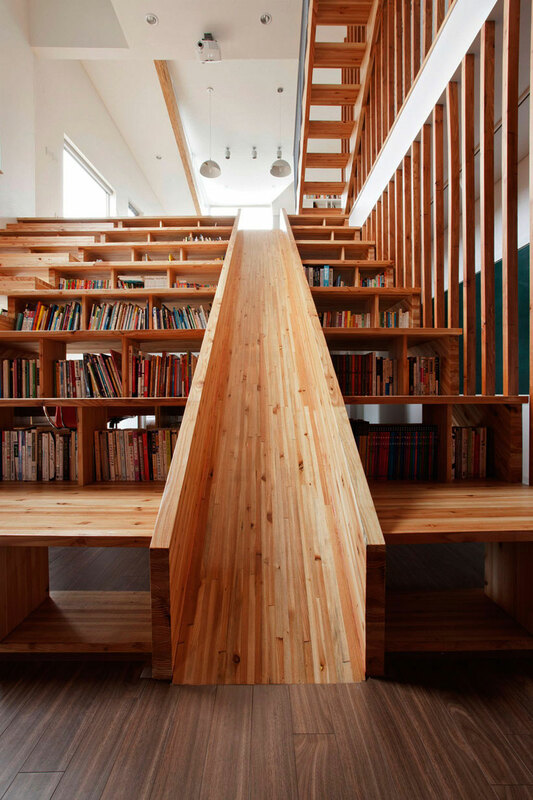 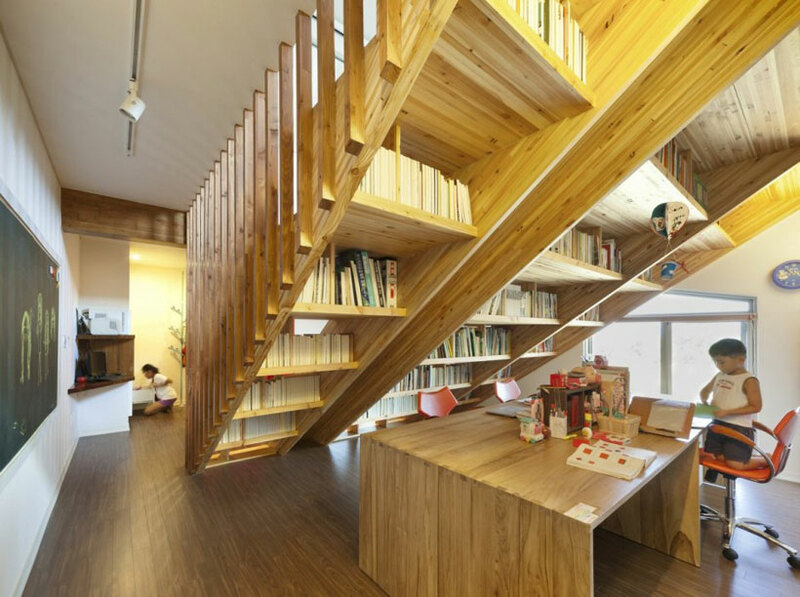 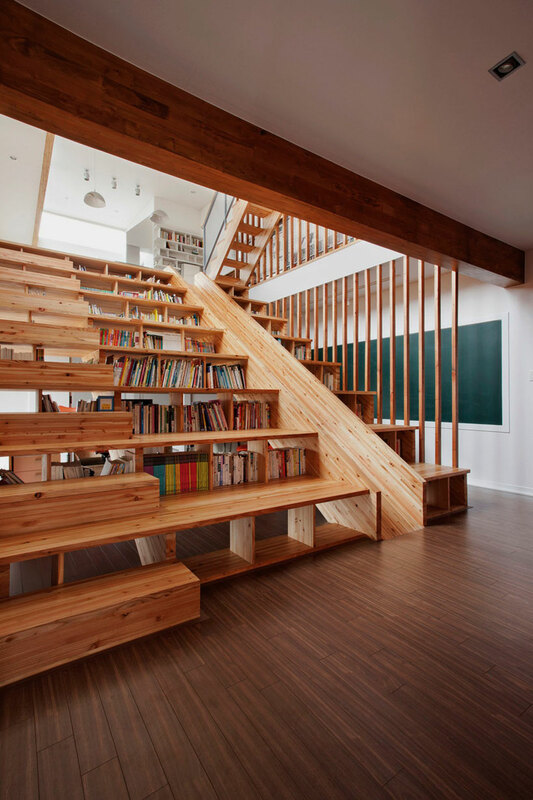 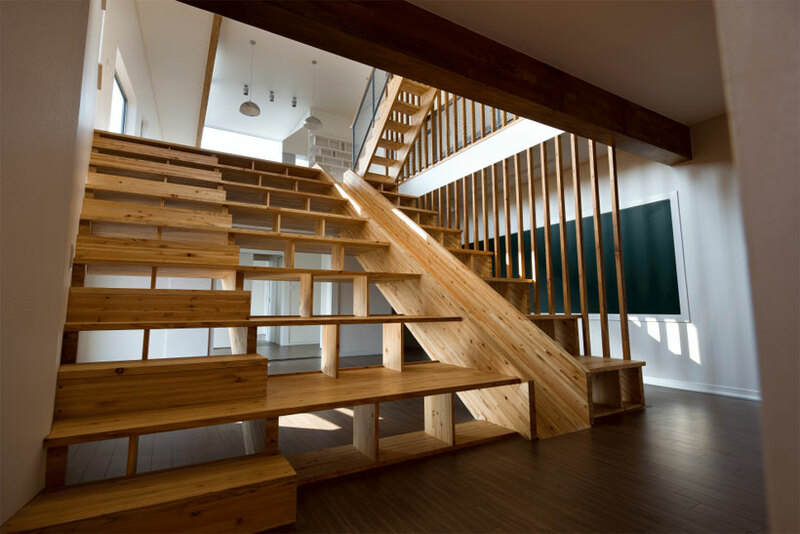 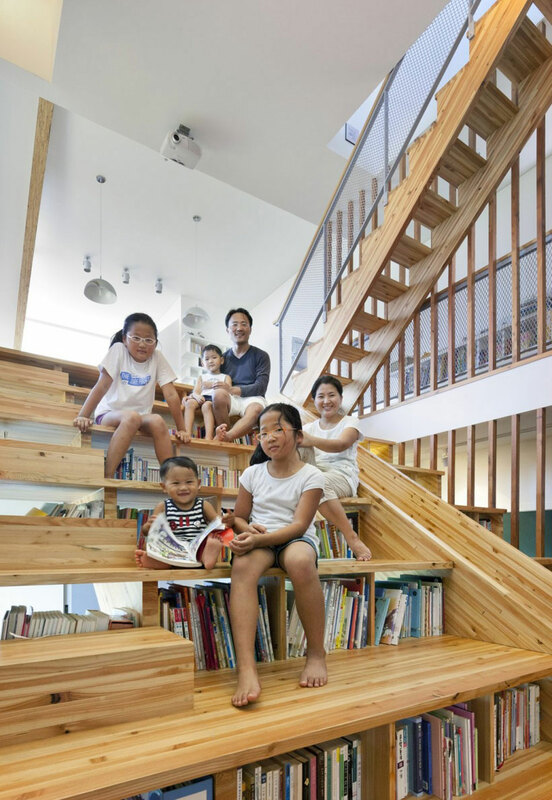 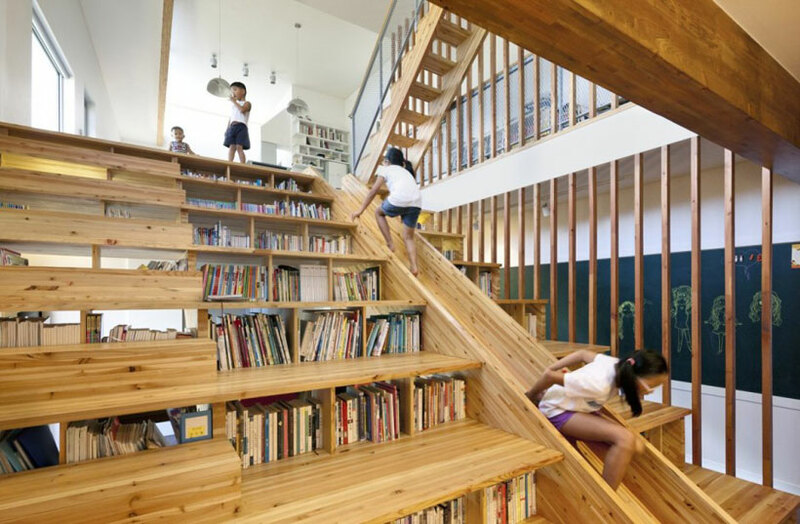 Especially, a large wooden stair case having a slide for children to play and even a library beneath it. 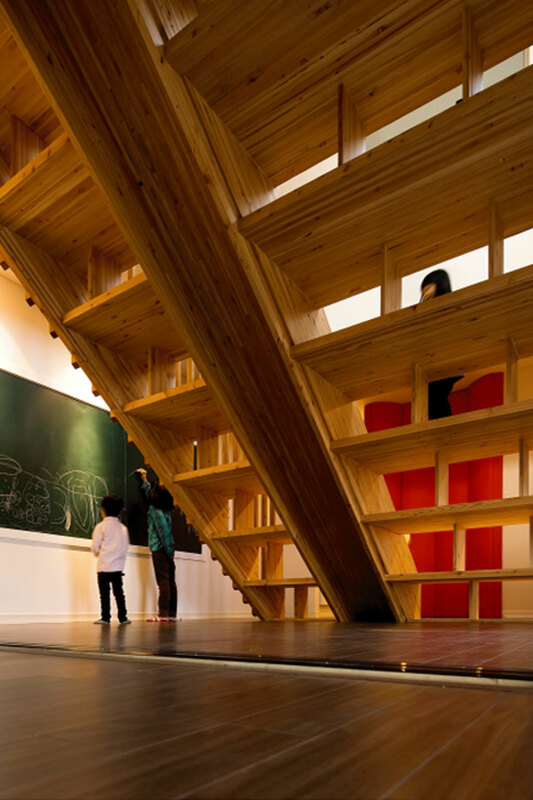 This designs brings creativity and energy in the mind of the children. 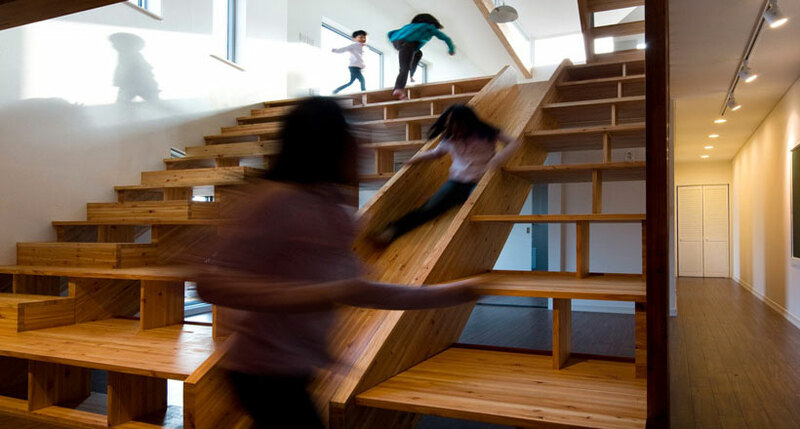 “Not only children but also adults like the slide of the stairs”, explains the architect. 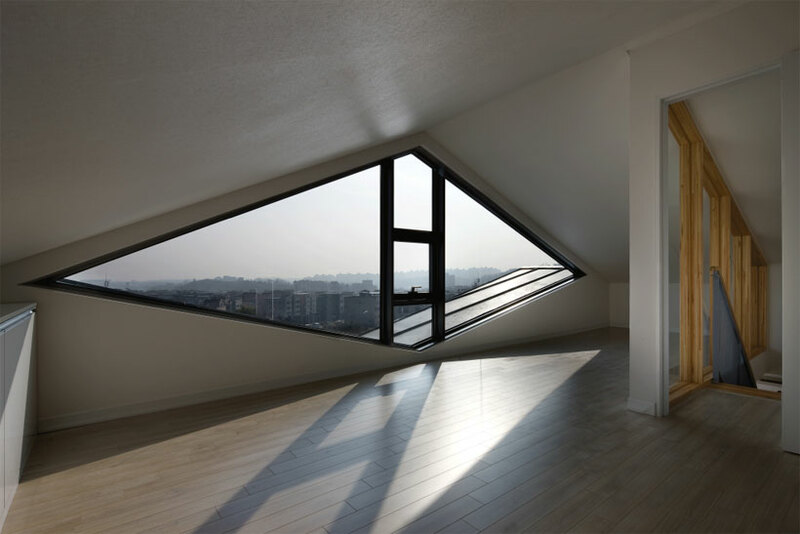 © All photographs are the property Juneul Huh.